MANCHESTER, UK. AUGUST 2014. 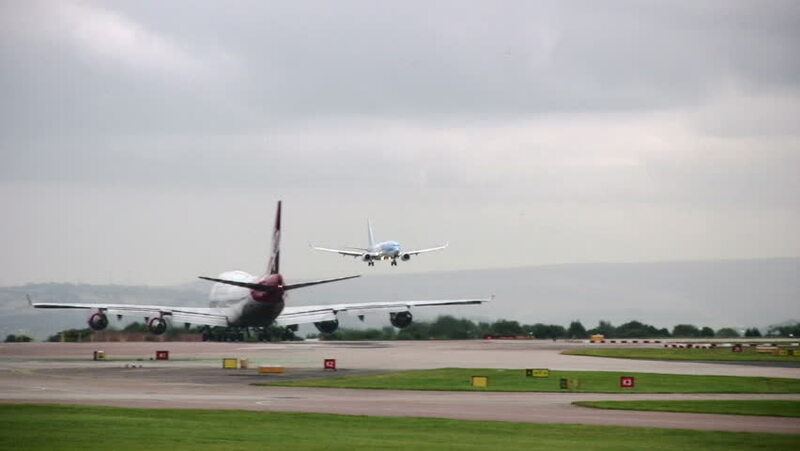 Thomson Boeing 737 lands bumpily at Manchester Airport, passing a taxiing Virgin Atlantic Airbus 747-400. Finally, Easyjet.com Airbus A320 taxis past close-up full-frame.